From September 2017 Landmark Vehicle Hire Limited will operate the LC1 Bus service between the Central Bedfordshire villages, Letchworth and Hitchin and John Henry Newman School in Stevenage. Once you are happy, please follow the link to our on-line application form. From this academic year, all application forms can be filled in and submitted on-line via this website. 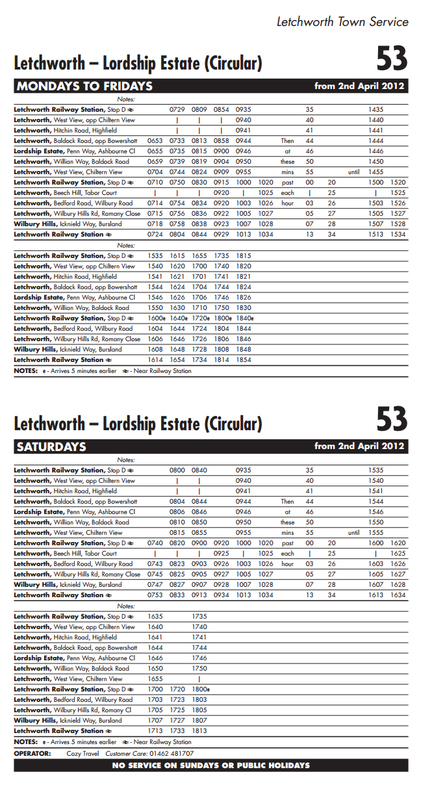 Check the timetables and select the appropriate service, ie LC1 or LC2. Make sure that have read and understood our “Terms and Conditions” and our “Code of Behaviour”. Fill out the online application form and submit it to us. By sending an application, you automatically accept both our terms and conditions and our Code of Behaviour. Where available, Landmark Vehicle Hire Limited will use coaches which are fitted with CCTV camera and recording facilities. In the event of breaches of our “code of behaviour” students may receive either a “Yellow” warning card or a “red” card, giving them a temporary or a permanent ban from the service. Where a pupil is banned from the service, we will enforce the three months notice period as required in our terms and conditions with effect from the date of the ban. Seatbelts Pupils must wear seatbelts at all times. Failure to comply may result in a ban from the service. Seating Pupils must remain seated at all times and must not move around the bus whilst it is in operation. Failure to comply may result in a ban from the service. Damage Pupils are not to cause damage to the bus or write any graffiti on the bus. Failure to comply may result in a ban from the service, and Landmark Vehicle Hire Limited reserves the right to claim any costs (Including any downtime) from the parent or guardian of the student. Behaviour No unpleasant, aggressive or innapropriate behaviour must occur between pupils or towards the driver. Failure to comply may result in a ban from the service. Other Road Users Students must not make any gestures or behave in any way which may cause offence to other road users, members of the public or the driver. Failure to comply may result in a ban from the service. Food & Drink No food, drink or chewing gum may be consumed on the bus. All rubbish or litter must be placed in bins or removed from the bus when the student gets off. Bottles of water are permitted, but must be used sensibly. Failure to comply may result in a verbal or written warning. Continued failures to comply may result in a ban from the service. Bullying Landmark Vehicle Hire Limited will not tolerate bullying between students whilst they are using the service. Incidents of bullying will be reported to the school, and they may result in a ban from the service. Driver All students must comply with all reasonable instructions given to them by the driver. Failure to comply may result in a verbal or written warning or may result in a ban from the service, depending on the severity of the outcome. Provision of one guaranteed seat per academic year per student is available on payment of the appropriate amount listed on the yearly application form. Term dates are as specified by the Hertfordshire County Council “Academic Calendar” and cover 191 days. All students are expected to comply with our “Code of Behaviour”. and will report any incidents to the appropriate authority. Landmark Vehicle Hire Limited reserves the right to make a claim against the parent or guardian of any student causing damage to our vehicle by an act of vandalism. This may include any downtime costs for the vehicle. Please Note: CCTV cameras and recording facilities are fitted to our vehicles for the safety and security of the students. By making an application to use the service, or by using the service you agree to our sharing any images with the School, Hertfordshire County Council or the Police. Subject to availability – Students who do not have a prepaid seat will be allowed to travel subject to there being spare seats at a single journey charge. Late payments may result in the student being removed from the passenger list and we reserve the right to make a late payment charge to cover our administration costs. We cannot guarantee seat availability for any student removed from the passenger list. Students for whom payment has not been received, may travel on the service at the absolute discretion of Landmark Vehicle Hire Limited at the daily single journey rate. (Subject to seat availability). Landmark Vehicle Hire Limited are unable to give any refund for failure to provide a service due to unforeseen and exceptional circumstances caused by outside influences which are beyond our control. Application for travel on the Bus Service between the Central Bedfordshire villages, Letchworth and Hitchin and John Henry Newman School in Stevenage. Fuel charges may be applied for other payment terms, if the price of diesel exceeds £1.60 per litre. If you move house and wish to terminate the service, you are required to give three months notice in writing. If you terminate the Service, you are required to give three months notice in writing. If we terminate the service due to breaches of our behaviour code, or for any other reason, we will refund any unused days less the three months notice period. By using this service, we reserve the right to share any information including CCTV footage that we deem appropriate with John Henry Newman School, Hertfordshire County Council or the Police. By using this service, you give your agreement. I agree to the information that I have supplied being used by Landmark Vehicle Hire Limited or Landmark Coaches Limited for the Safe Operation and Management of the School Bus Service and for Safeguarding purposes.